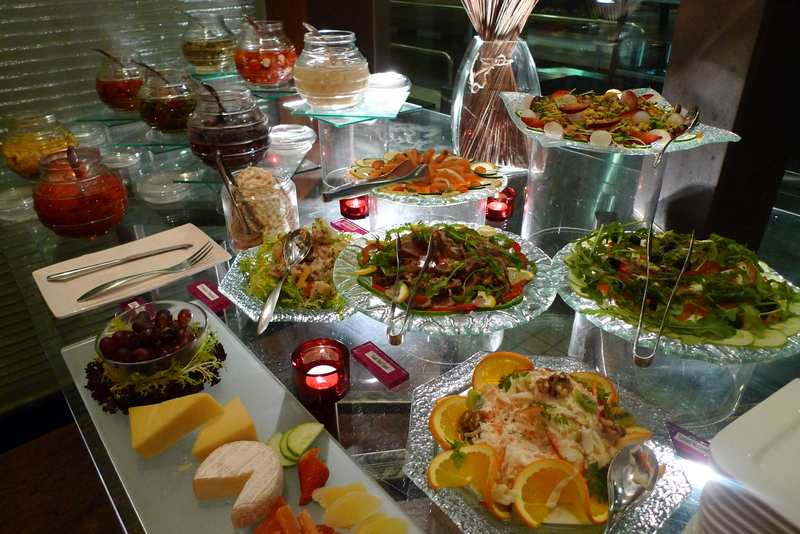 It confounds me as to why there are 2 international buffet outlets located within M Hotel. 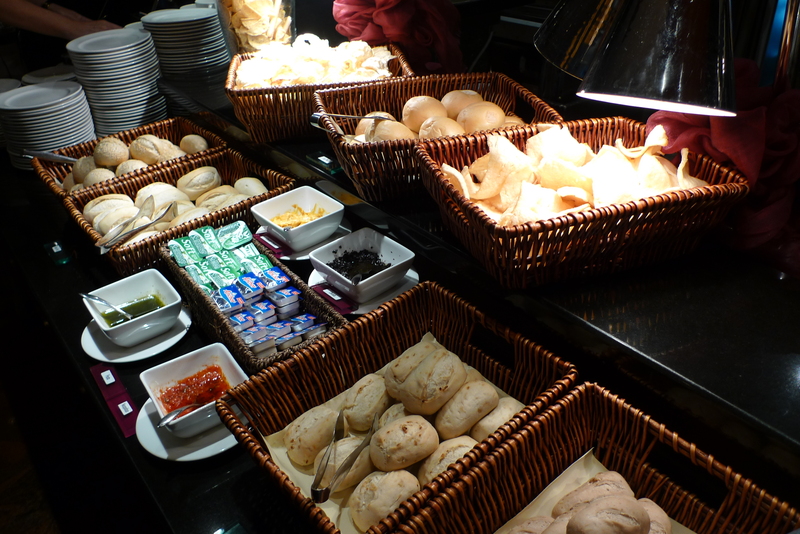 Having had an unpleasant experience at The Buffet on the 2nd Level of M Hotel, I was slightly apprehensive about what Cafe 2000 could bring to the table. 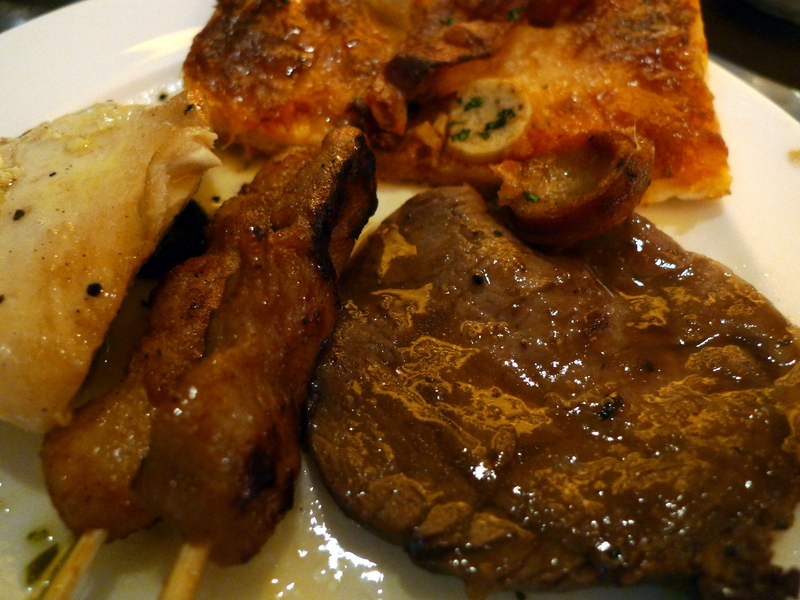 Cafe 2000’s Weekday Semi-Buffet Dinners are priced at $40++ which is rather reasonable considering you get access to the buffet line as well as a separate choice of main. It isn’t chichi and doesn’t pretend to be. Functioning on an open kitchen concept, the ambience exudes mellow vibes and the restarant is not cluttered with unnecessary props. Casual leisurely dining is the name of the game here. 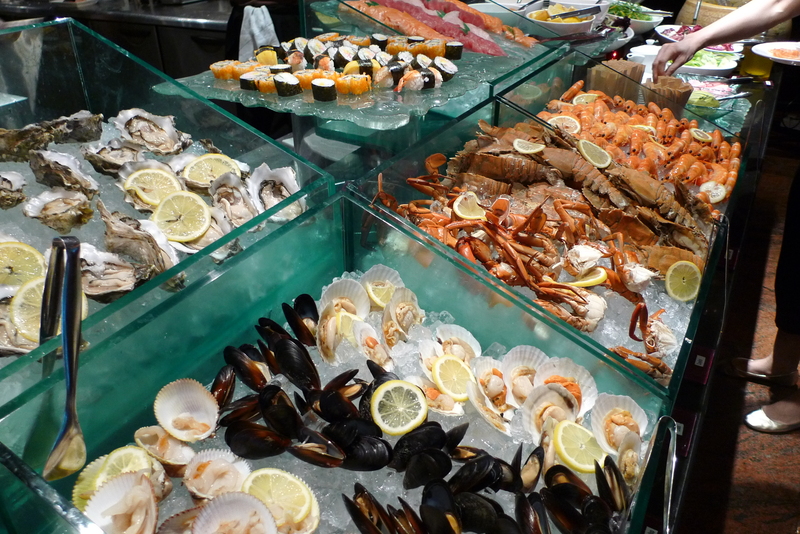 What’s a buffet without fresh seafood and sashimi? The oysters were pretty fresh for a buffet and the prawns managed to retain it’s natural sweetness. The sashimi was alright too but the shoyu tasted a bit strange(immensely salty compared to what I am used to). 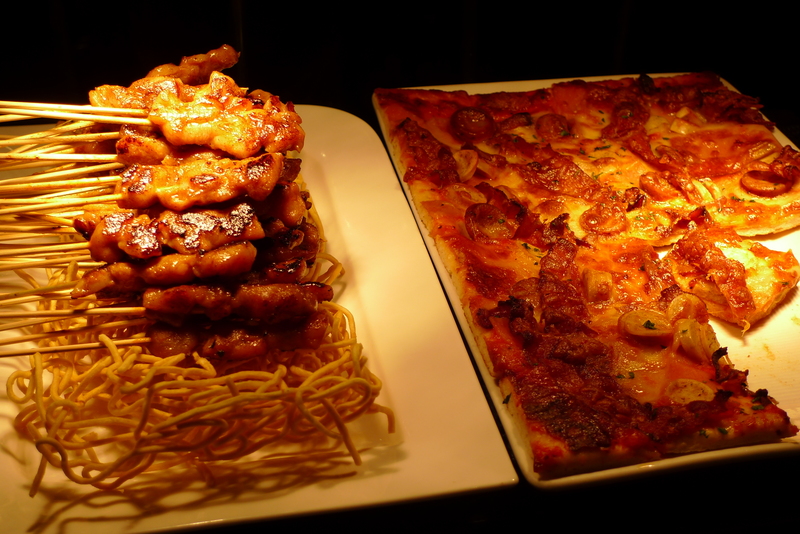 For cooked dishes, there was Sweet Corn and Pork Rib Soup, Potato and Leek Soup, Thin Crusted Pizza, Chicken Satay, Buttered Fish, Roast Beef and a Pasta Station where they cook your pasta on request. Though there was a limited choice of cooked dishes, they were all well executed except for the Tomato Based Pasta which I found too tangy and the Potato Soup which I found too starchy. 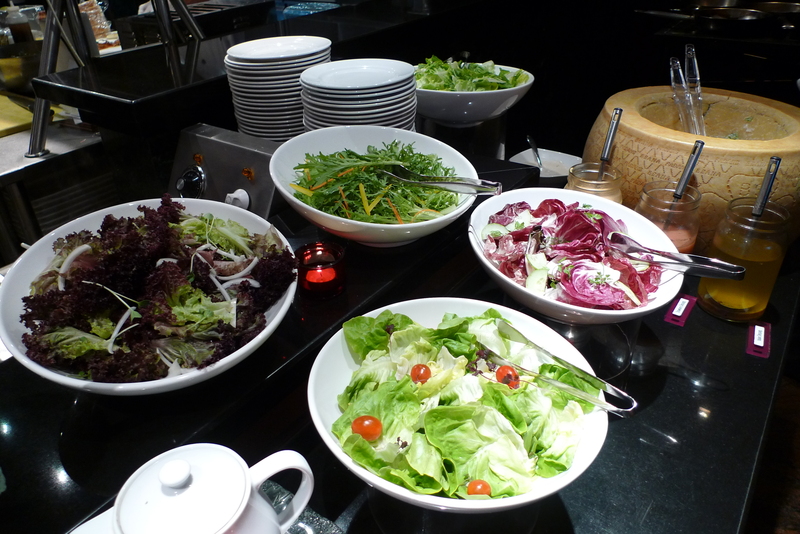 Choice of main course is cooked and served separately from the rest of the buffet food. 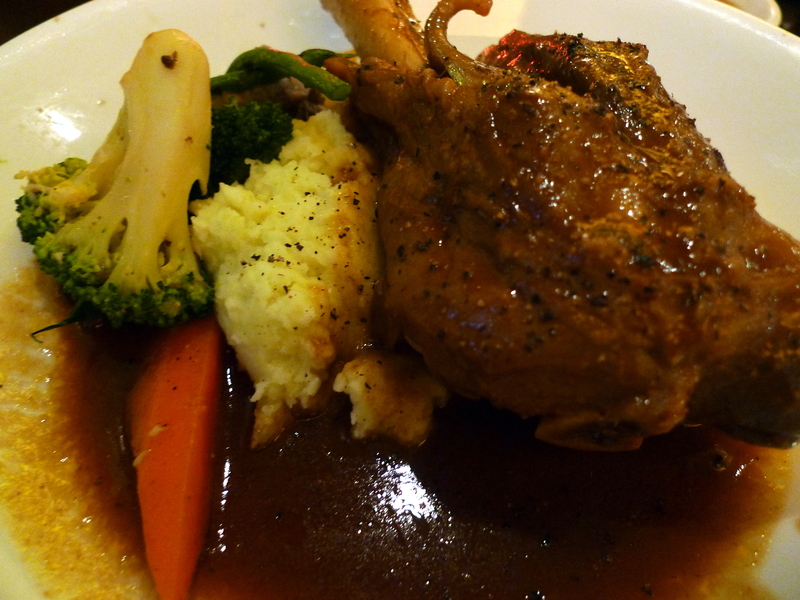 I chose the Lamb Shank Braised in Red Wine Gravy, served with Greenpea Mash and Vegetable & Mushroom Ragout as my main. The meat though not tough, didn’t fall under the tender category either and it was slightly bland, reminding me of the one I had at Borshch Steakhouse last year. 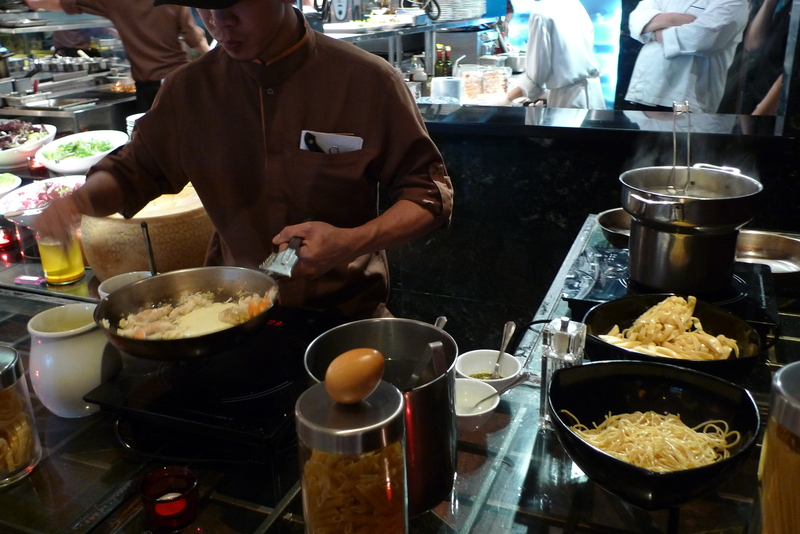 For some reason, the mass cooked dishes in the buffet was better. 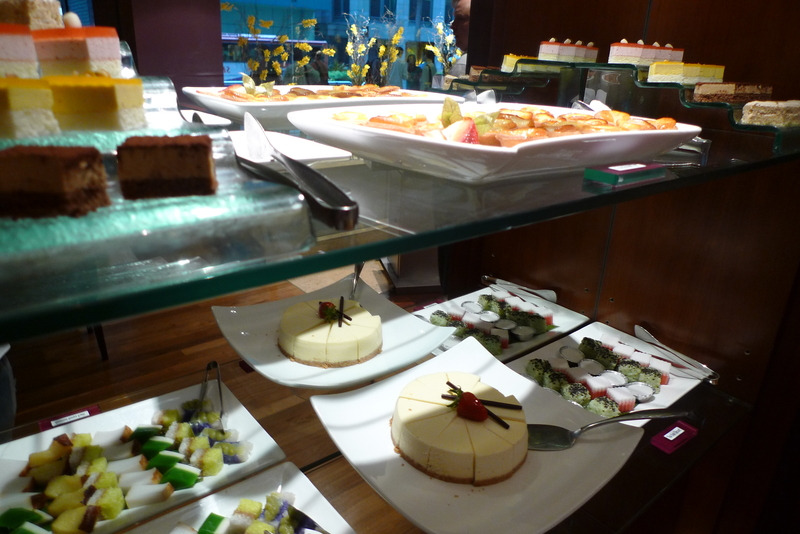 Desserts, glorious desserts! 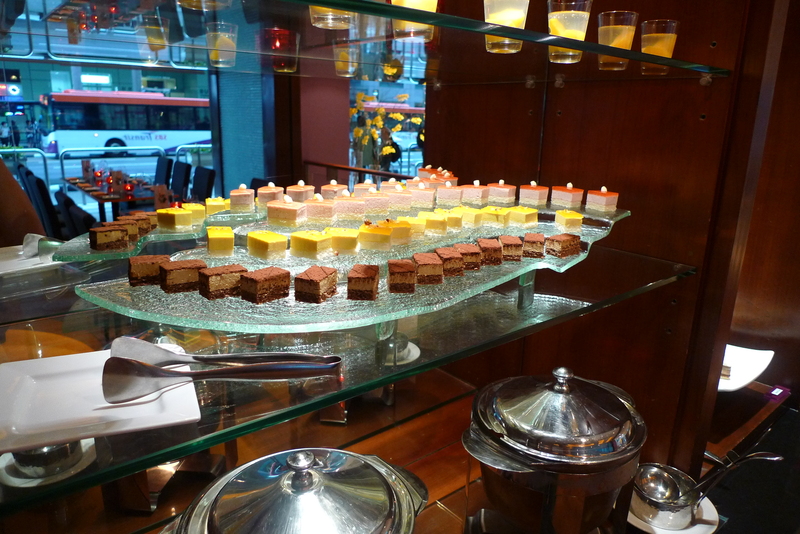 Shelves and shelves of petite tartlets, kuehs, cakes, purees and fondue…all vying for my undivided attention in unison! I had to make my choices wisely, with my tummy quickly running out of room. Sticking to mainly chocolate and coffee based cakes, I fancied the Cappuccino Cake and especially the Durian Puree which was fresh, thick and bittersweet, one serving was not nearly enough. I found the service near impeccable and my dad mentioned that the last time he was there, his napkin was always neatly folded back on the table whenever he returned from the buffet line. This my dears is what I call service. 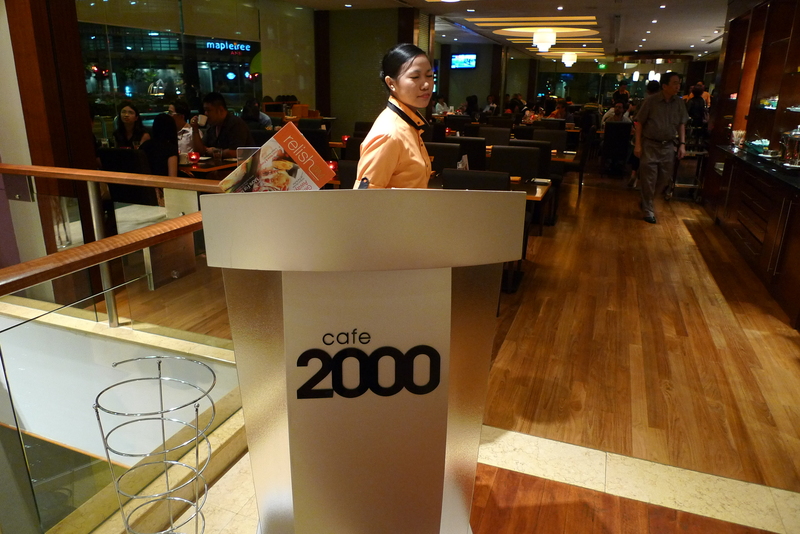 Buffet aside, Cafe 2000 is actually more famous for it’s Chicken Pies and Curry Puffs. It’s supposed to be $4/piece but I ordered it after 8pm so it came to $2.80/piece. The Chicken Pie is touted as one of the best in Singapore and I agree. Unlike the conventional ones, no potatoes are used, only generous amounts of carrot, mushroom and chicken and it’s x-factor lies in it’s gravy(can I call it that? ), creamy and tantalizing. SHIOK! 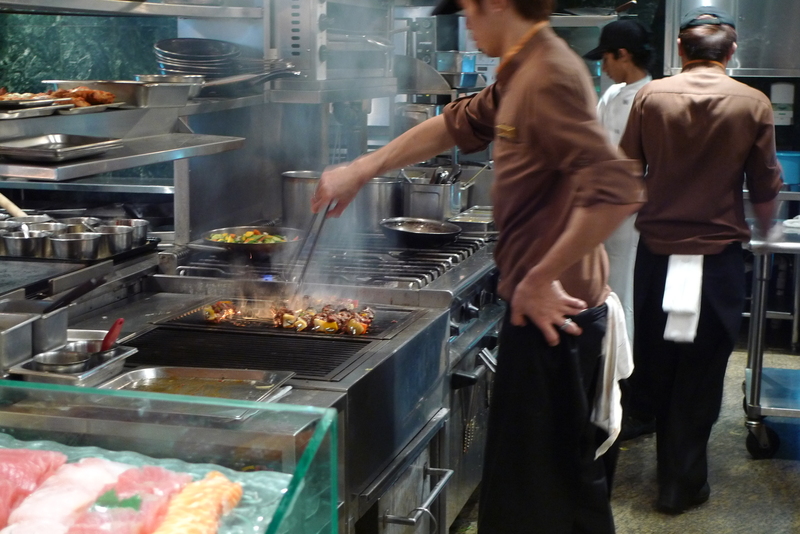 Yummy food, unpretentious ambience and service, will I come again? If not for the buffet then definitely for the Chicken Pies. 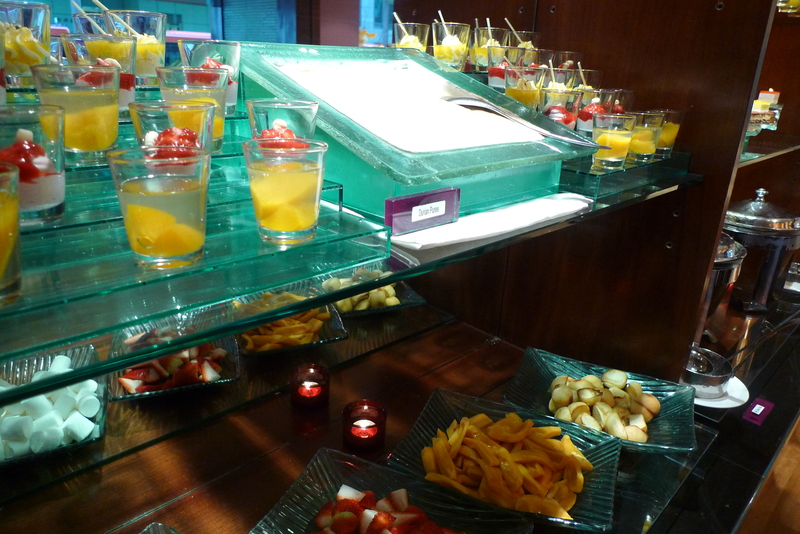 Categories : All YumYums in my TumTum, Buffet, International, Location of YumYum, Tanjong Pagar / Outram, Yummy! YOU SPEND A LOT OF MONEY ON FOOD LEH! I should get started on mine unless I want to fail my module…. really hope smu acct has such a module mannnnnnnn…i think i can get gpa 4.4 for it. anw really must try the curry puffs and chicken pies here, orgasmic to the max.